Rhinebeck, New York. William Jefferson Clinton, Ex President U.S.A., walked his daughter Chelsea down the aisle and looked full of confidence even though he might be holding back a tear or two. 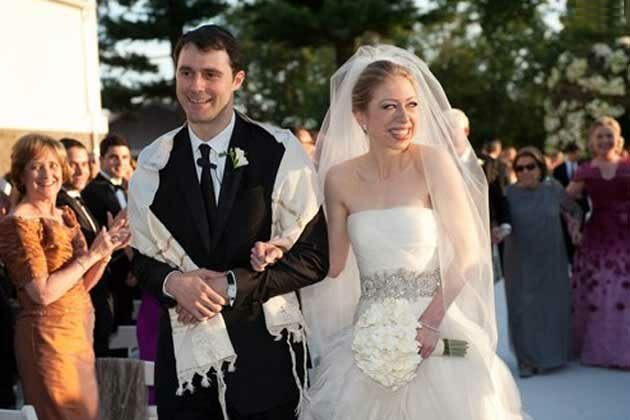 Chelsea Clinton married her long time friend and beau Marc Mezvinsky amidst a veil of secrecy in the small village of Rhineback. Shortly before 11 pm, the Clintons got down from a van outside the Beekman Arms Hotel. The former first lady, in a long, green dress, waved to the cheering crowd waiting behind metal barricades outside and quickly went into the hotel.